Medicare allows for up to 200 catheters per month. Still unknown to many catheterized Medicare patients, in late 2008, Medicare made a very important & significant policy change to benefit patients regarding the re-use of Catheters and the number of Catheters provided to a patient each month. Many patients before this policy change in 2008 only qualified for the use of 4 catheters per month. This means catheters designed for one-time use were required to be cleaned, boiled, dried, and re-used, sometimes up to 40 times before a new catheter is used. However, this contradicts how catheters are manufactured and how they are labeled. All catheters are discouraged for re-use and the FDA requires that any catheters – labeled as “sterile” are required to be packaged individually and thrown away after use. As such, they also do not offer cleaning instructions because they are intended to be disposable. Re-using catheters puts you at greater risk of Urinary Tract Infections (UTI). For this reason, manufacturers are required to label sterile catheters for single-use only and discourage the re-using of catheters. Both the FDA and Veterans Administration now agree that sterile catheters are designed for single-use only. Why did Medicare change its policy? Money is a major issue – studies began to show that the re-use of catheters was increasing Medicare costs because of the higher risk for Urinary Tract Infections. While only 1 catheter per week on average decreases the cost of supplies, the overall increase in UTIs increases hospital visits, pain & suffering caused by infections, and disrupts the quality of life for patients. While many patients were only allowed 4 catheters per month, under the new Medicare policy changes, you can now receive up to 200 catheters per month. Most catheters are designed for single-use only, as labeled on their packaging. The FDA and the Veterans Administration both agreed that sterile catheters are designed for single-use only. The old Medicare policy encouraged the re-use of catheters. Under the new Medicare policy changes in 2009, you can now qualify to receive up to 200 catheters per month. 200 catheters a month means up to 6 catheterizations per day without re-using a single catheter. If you have Medicare and have been under-supplied on Catheters, you’re now eligible for up to 200 catheters per month. Buy your supplies from a company that is accredited to accept Medicare claims. 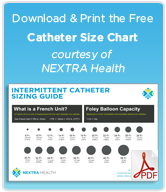 STLMedical.com supplies your urinary catheters – now up to 200/ month – under your Medicare coverage. Shipping is always free for all orders over $50. While insurance companies differ in their limits to a monthly catheter supply, STL Medical is also assigned to accept Blue Cross/Blue Shield and Healthlink. 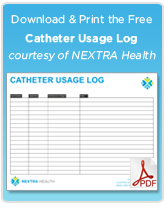 Start using a new catheter every time you cath – you will decrease the risk of Urinary Tract Infections and be re-assured every time you cath that your catheter is sterile!